So you want a Wedding Business Website!! And you want it to be a really good one. But beyond looking cool and having a couple of features that are important to you, you really don’t know where to start…or anything else about actually buying (or building your own) site. Basically – you don’t know what you don’t know! 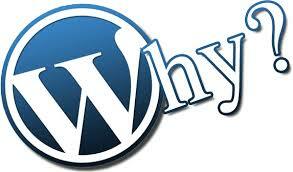 Google (and Yahoo and Bing and all the other search engines) love WordPress! In fact, they consider the WordPress platform to have the most current and up to date info because it was designed to be used by bloggers – that post new content on a regular basis. It’s easy to update – You can easily add pictures, blogs, you name it, once your site is built for you. It’s even easy for people that don’t consider themselves to be tech savvy. Why is this important to you?? It means that you don’t have to call someone to simply change a picture on your website – and spend $50+ every time you have to call said web guy! There are literally millions of customizable templates that you can start with. Does that mean that your site will look like someone else’s? Nope! Because template bases are so customizable it’s unlikely you will find someone else that looks like you – the rare snowflake that you are! 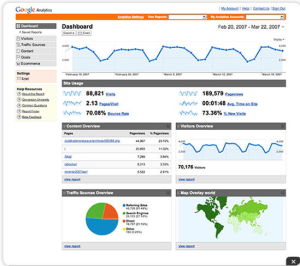 We install Google Analytics on all of our sites. Why do you care? Because now you’ll be able to see how someone got to your site, how long they stayed there, how many pages they visited, and more. And that’s some pretty damn powerful information right there! We will Never Ever Ever (I know you’re singing along in your best Taylor Swift voice right now) hold your website hostage! Ever! We’ve heard (and dealt with) too many horror stories where the “guy that built our website” is nowhere to be found and, oh yeah, he just happens to have all of the passwords to your hosting. Yikes! Or worse, he stopped paying the hosting, is nowhere to be found, and your site just got shut down. You will always have access to and maintain control of your domain name and hosting. 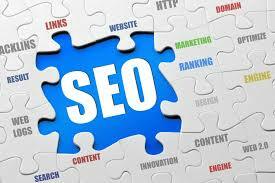 We will make it SEO Optimized (even if you have no clue what the hell that means)! It means that search engines will find you faster (and easier) and you’ll possibly even be ranked higher on search engines than your competitors – that’s good news! We know this industry! We don’t just build websites for the wedding and event industry – we work in it too. So, you don’t have to worry about having to explain how a bride thinks to us – we know! We’ve been there. We include one year of web hosting and back up service with all of our websites! We include some basic training with all of our sites. What does that mean to you? It means that we’ll spend time with you after we finish your website making for sure that you (or someone on your staff) knows how to make basic updates and changes to your site – so you don’t have to pay someone every time you want to make a little update! Once you contact us we’ll schedule a time to talk – we want to get to know a bit more about you and your ideal client. Hey – let’s get to know each other a little before we go to second base okay?! We have a wait list – sometimes. 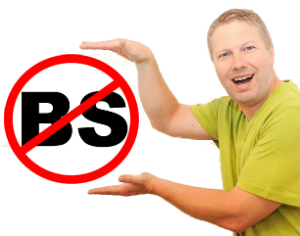 No, we’re not BS’ing you. In case you haven’t caught that already – we’re kind of fun to be around and we’re just a little outside the norm – so a lot of people want to work with us because they’re a little outside the norm too. That doesn’t mean that we may not be able to get to you quickly – we all have peak and non peak seasons. It just means that we may not be able to start on your website yesterday – next Tuesday might be more like it. To get started, we’re going to want to spend a couple hours consulting with you. We want to know all about your business and who your ideal client is – you know, who we’re building this website to attract! Once we start, we work non stop on your website until it’s finished. As long as you’re on the ball about getting all of your details to us, we can usually finish your site in 4 – 6 weeks. It really depends on how complex your website is. We’re going to ask that you have everything ready for us before we start. That means that we’re going to need your pictures, your web copy (or we can help you write it), your links, passwords – you name it, we’re going to need it – BEFORE we start. We’re pretty serious about this one because there are usually people waiting in line behind you and we want to be respectful of that. We do not like to hound people for their stuff! It takes up a lot of your time and it takes up a lot of our time. Just like your third grade teacher – we don’t start class until we have your undivided attention (and your web copy)! Once we’re finished, we’re going to spend a couple of hours training you! This is really important. We want you to know how to maintain your site after it goes live. You own it and we want you to keep it awesome from that point forward. Don’t worry – we’ll tell you how to do it all! It’s only 1 Million Dollars!! Just kidding – it’s usually more like $3,500 – $4,000, depending on how complex your site is.